Celebrities have been running for office since at least Ronald Reagan’s time, but lately, there seems to be a more concerted effort to make the switch to politics. Call it a byproduct of having an ousted reality TV host serving as president: In the last couple weeks alone, we’ve seen a political committee spring up in sport of President The Rock (who declared, perhaps jokingly, his desire to run for office in May), as well as Robert “Kid Rock” Ritchie’s possibly disingenuous intentions to nab a Senate seat. 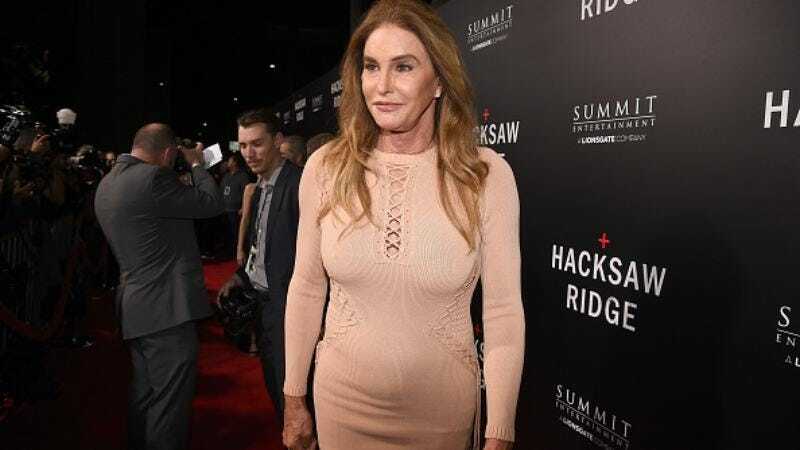 Now it sounds like Caitlyn Jenner is also weighing a Senate bid. Jenner told John Catsimatidis of 970 AM’s “Cats Roundtable” that she’s “considered it. I like the political side of it,” the “it” being politics. And with her own reality TV bona fides and the general topsy-turviness of the world right now, Jenner might have a real shot. But the former Olympic athlete and current LGBTQ activist says she’s still trying to figure out where she’d be most effective: “Kind of working the perimeter of the political scene, being open to talking to anybody? Or are you better from the inside, and we are in the process of determining that.” Still, Jenner says she’s been working with the American Unity Fund to help Republican legislators understand LGBTQ issues because “[those are] my issue[s].” Jenner didn’t confirm whether she’d run as a Republican, but despite the GOP’s rollbacks of hard-won transgender rights, she recently told USA Today that she’s “philosophically… on the Republican side.” She’d rather try to get Republicans on board with LGBTQ issues than make Democrats “lower taxes and have less regulations and less government,” despite the fact that anti-LGBTQ activists are getting prominent roles in the government. But at least she’s got aspirations.